You’ll laugh! You’ll gasp! You’ll go places you’ve never been before thanks to some of the nation’s most talented fiction writers. So sit back and settle into these 87 tiny tales that all pack a really BIG punch! 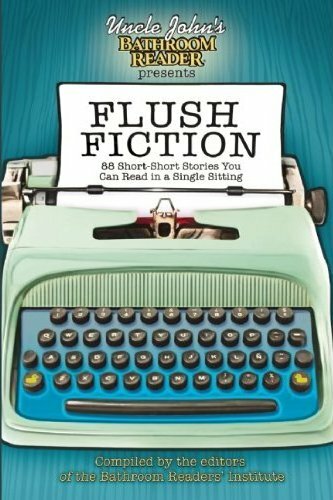 The title “Flush Fiction” is, of course, a play on both their past “Bathroom Reader” anthologies and the literary category of short prose known as Flash Fiction. The length requirements for a piece to qualify as Flash Fiction usually depends on the whim of the publisher, and in this case The Other Foot just squeezes in under Uncle John’s one thousand word limit. Uncle John’s Flush Fiction is now available for pre-order on Amazon.com, and will be populating local bookstore shelves this April.